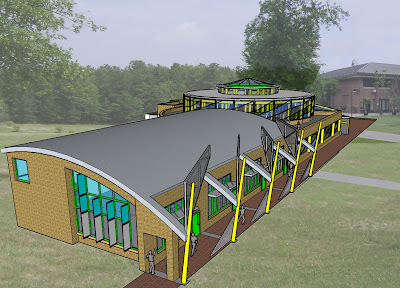 The design developed for this competition seeks to advance the prototype of the library, connecting the building with a valued past and its natural surrounding while grounding it to the present day context of Suffolk Community College Eastern Campus. Here, students and faculty can be ever mindful of a complex and diverse future. After numerous hours spent evaluating detailed site analysis and observing circulation patterns and flows, the ultimate placement of the new Library energizes the existing infrastructural relationships of the campus while maintaining vast open space for future development. 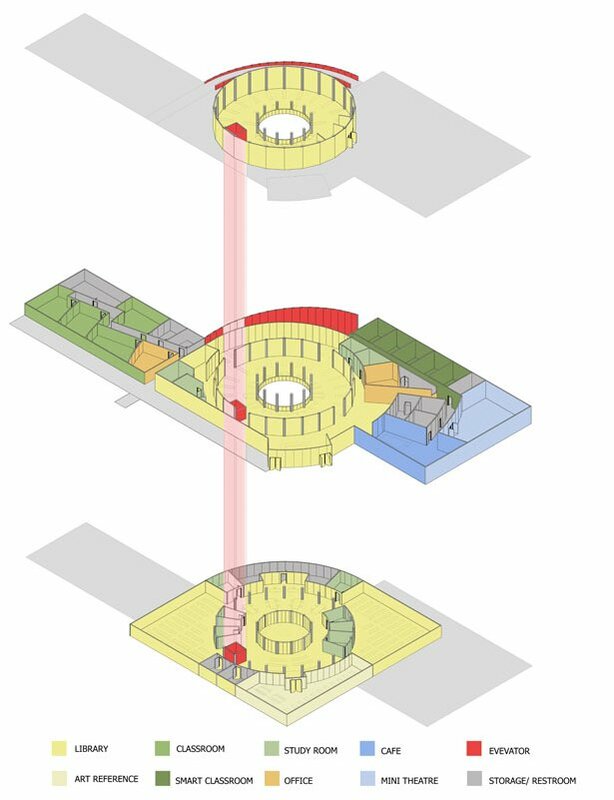 The existing buildings create the foundation for spatial definition of a quad; by constructing the Library in the corresponding adjacent space and orienting the footprint along the east-west axis, a true quad is establish. 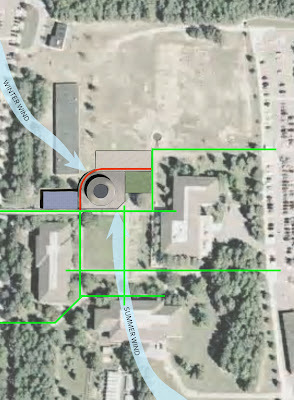 As indicated on the master plan, this also provides the campus with a formal entrance, utilizing existing infrastructure rather than destroying the natural ecosystem of the Pine Barrens to the north. Minimal development in this area, along with the Library’s rooftop plaza, allows for a seamless transition to a future second quad directly to the north. This placement also reinforces the existing axis for pedestrian movement already established by the existing three buildings on the campus. 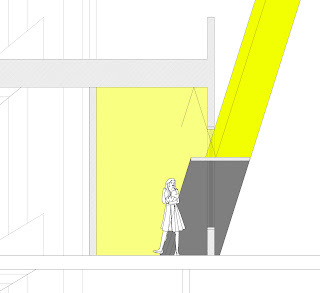 The orientation of the building on an east-west axis serves an additional purpose, allowing the diffusion of natural daylighting throughout the building. 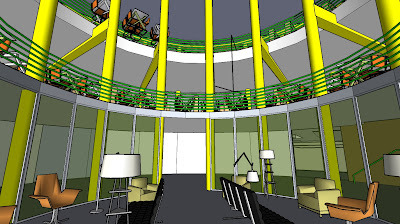 The cylindrical library and reading room serves as the anchor space and provides access to adjacent support spaces. To address the existing topography access is provided at the lower level to the north and the mid-level to the north. 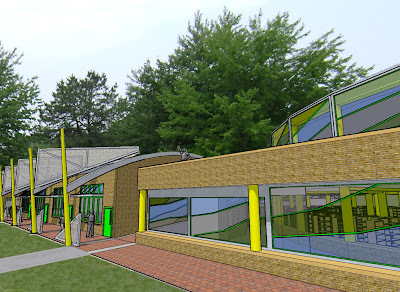 A vegetated roof on the east wing provides an exterior space for the library while providing a relationship between the newly created quad and the field to the north. Sun shading devices such as screens and overhangs enable control over the amount of light penetration at any given time of year, while permitting passive heating when needed. 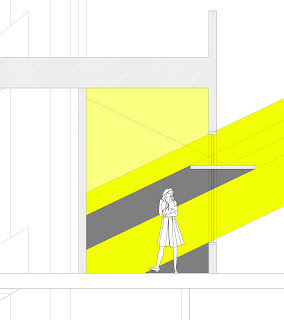 By incorporating high-efficiency lighting with sensors, the lights will dim on a sunny day. 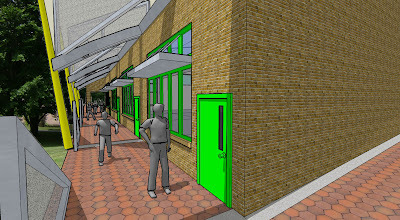 In the future, the large, south facing roof of the western classroom wing can facilitate a photovoltaic array as large as 45Kw. Other environmental, energy and water saving measures are proposed as well. This becomes important as colleges and universities have the unique position to teach the next generation that reducing human impact on the environment is not optional, but required. 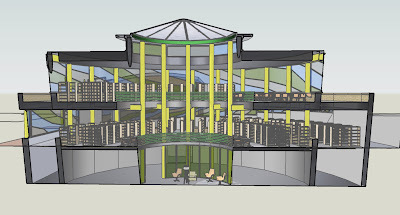 Consequently, the knowledge disseminated by the new Library encompasses the building itself. This proposal seeks to illuminate the importance of the Suffolk Community College Eastern Campus to Long Island’s east end communities and the county at large. With a 100-year life cycle and a carbon reduction of 50% over the base model building, the Learning Curve is a bold step forward.